D4 Surgicals (India) Pvt. 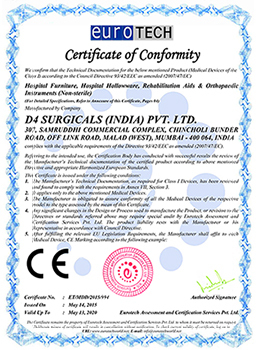 Ltd. is a Manufacturer and Exporter of Electro Surgical Generator. 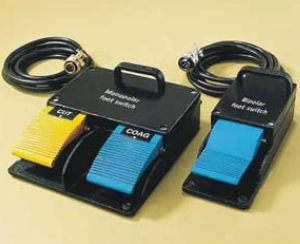 These Gentrators are in various designs and special features is a Input power indicator for Electrical safety. D4 Surgicals (India) Pvt. Ltd. provides Electro Surgical Generator to suit the requirements of each and every medical profession. 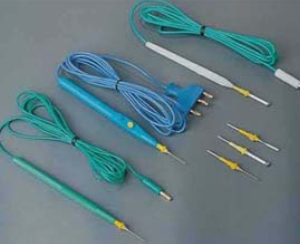 These Electrosurgical Generator are used in most of the Indian hospitals and Dispensaries. 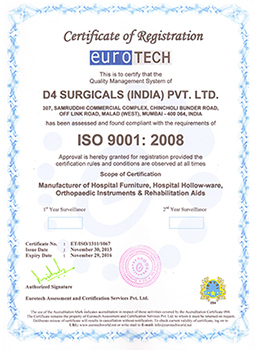 While Manufacturing these Electrosurgical Generator best quality standards are followed. Saved life in ancient times, still saving... ! of generator helps to perform specialized procedures like cardiovascular, TURP, neuro, thoracic, cancer, endoscopic, laproscopic, hysteroscopy, plastic and reconstructive. 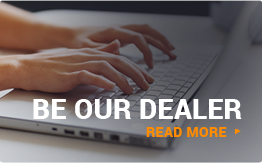 directs current return to the generator significantly reducing risks of alternate site burns. in favour of both manufacturer and surgeons. the most essential feature in every electrosurgical unit. Sanjeevani's body protected & cardiac protected design, safeguards the O.R. team members. operating controls of unit, helps O.R. 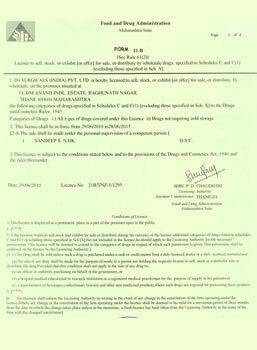 staff to set the parameters according to the procedures. Sanjeevanii is a complete electrosurgical generator to meet the needs of the surgical team of hospitals & day care based surgery centres. 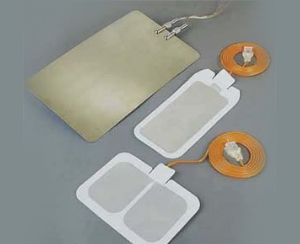 Sanjeevanii VIP ESU features safety and performance, including isolated output and independent activation of accessories, which substantially reduces the risk of uncalled burns. 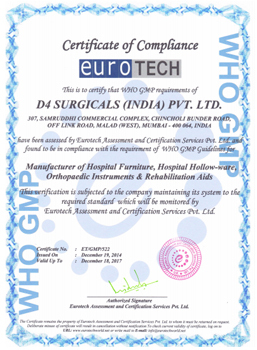 Sanjeevani is associated with extensive array of in house developed electrosurgical accessories like monopolar foot switch, bipolar foot switch, autoclavable foot controlled pencil, autoclavable bipolar forceps, S.S. patient plate and imported hand controlled and foot controlled pencils, speciality electrodes, disposable pregelled patient plate. Quality and compatibility is ensured when your electrosurgery system bears the name Sanjeevani. Range of autoclavable bipolar forceps. 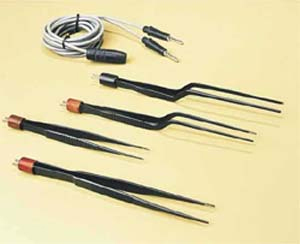 Electrosurgical pencils with speciality electrodes.